Molly Sheehan from Green Hope Farm assembled a cool cookbook with a big collection of favorite farm recipes. When she offered to send me a copy, I jumped at the chance. Molly has been at Green Hope Farm for nearly thirty years. The farm has a thriving business providing flower essences. What started as a place to raise children became a business, but most importantly, remained a place for family and friends. The Things We Cook reflects that love of family and friends as well as a strong sense of place. There are vivid stories of Molly's grandmother, Kitty. Wild tales of her glamorous neighbor, Teddy. There is her son, Ben, a disinterested eater as a child,who grew into a great cook and who now cooks in Teddy's old kitchen. Like so many a farm, Green Hope provides a circle of life. After collecting a pile of recipes, Alli Howe came into the picture. And picture she did. 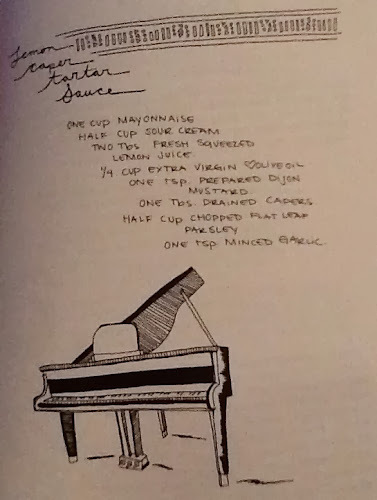 Alli hand illustrated each and every recipe in the book. The bold graphics give The Things We Cook a look that is reminiscent of The Moosewood Cookbook or the Tassajara Cookbook. A quick glance at the recipe index and you will find it filled with almost as many names as recipes. Laura's Bean Dip, Pasta alla Norma, and Teddy's Chocolate Pudding. You will find: Elizabeth is our scone queen, Jim has the best hand at pastry, Vicki taught us how to use seaweed, the fattoush is from Catherine Boorady's family, and the Soubise is from Julia Child. There is a traditional mac and cheese and this one. Two cups roast chicken, leftover from another meal works great here. Put cream in a pot with rosemary and a pinch of salt and simmer until reduced by half. Add chicken and simmer another 30 minutes until sauce coats the back of a spoon. Cook pasta according to package directions and add to sauce along with the goat cheese. Toss and serve. 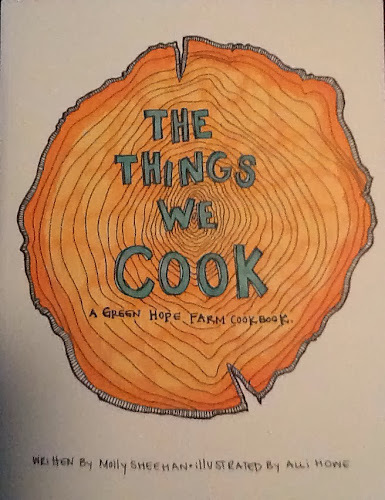 The Things We Cook is a delightful cookbook. It is an honest farm-to-table cookbook from someone who actually works a farm and actually puts food on the table for anyone who happens by. 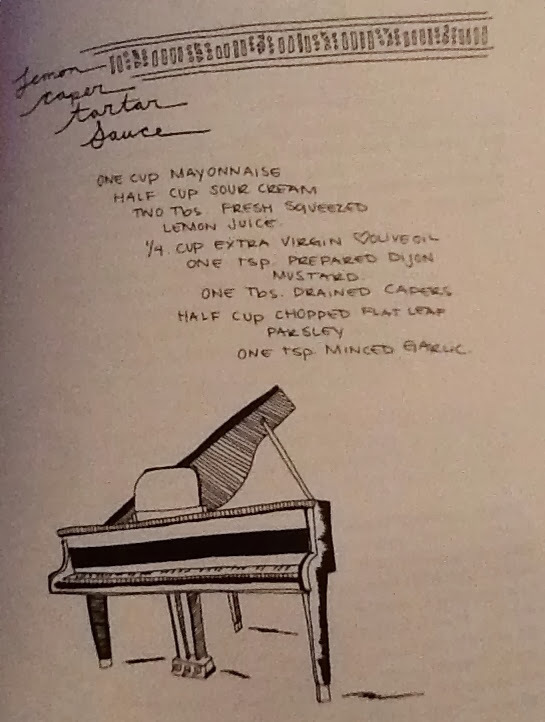 We would love to stop by and pull up a chair, but having this cookbook may just be the next best thing. Check out Green Hope Farm at www.greenhopeessences.com.